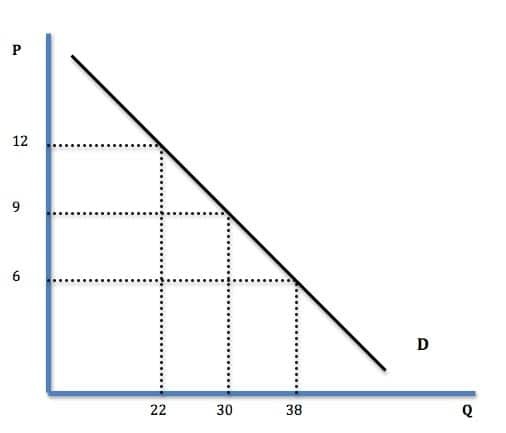 The individual demand curve illustrates the price people are willing to pay for a particular quantity of a good. 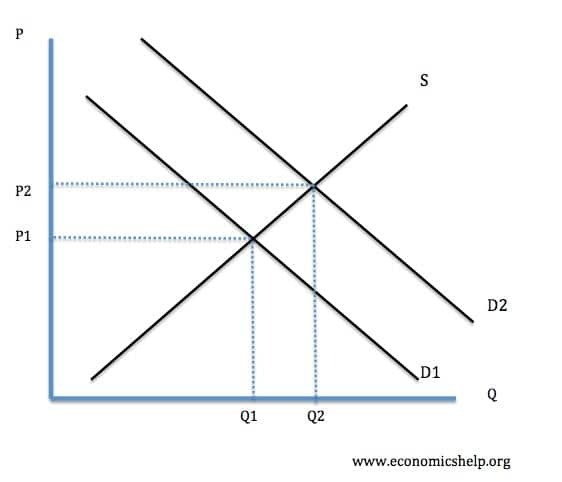 The market demand curve will be the sum of all individual demand curves. It shows the quantity of a good consumers plan to buy at different prices. 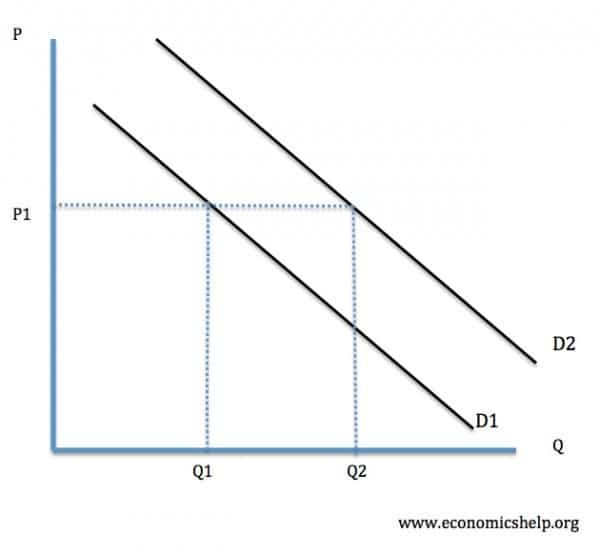 A change in price causes a Movement along the Demand Curve. This occurs when, even at the same price, consumers are willing to buy a higher (or lower) quantity of goods. 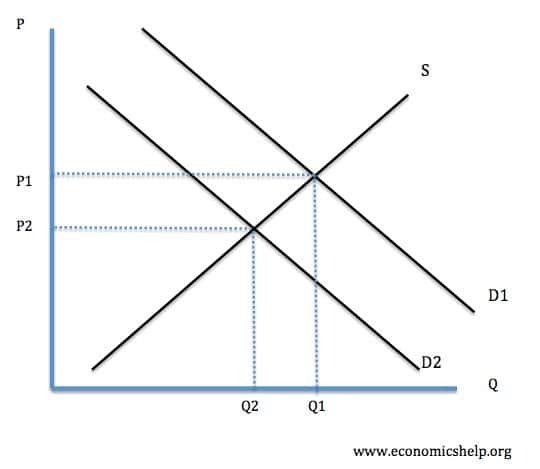 This will occur if there is a shift in the conditions of demand. Income. An increase in disposable income enabling consumers to be able to afford more goods. Higher income could occur for a variety of reasons, such as higher wages and lower taxes. Quality. An increase in the quality of the good e.g. better quality digital cameras encourage people to buy one. Advertising can increase brand loyalty to the goods and increase demand. For example, higher spending on advertising by Coca Cola has increased global sales. Substitutes. An increase in the price of substitutes, e.g. if the price of Samsung mobile phones increases, this will increase the demand for Apple iPhones – a major substitute for the Samsung. Complements. A fall in the price of complements will increase demand. E.g. a lower price of Play Station 2 will increase the demand for compatible Play Station games. Weather: In cold weather there will be increased demand for fuel and warm weather clothes. Expectations of future price increases. A commodity like gold may be bought due to speculative reasons; if you think it might go up in the future, you will buy now. A fall in demand could occur due to lower disposable income or decline in popularity of the good. For some luxury goods income will be an important determinant of demand. e.g. if your income increased you would buy more restaurant meals, but probably not more salt. Advertising is important for goods in which branding is important, e.g. soft drinks but not for bananas. Effective demand: This occurs when a consumers desire to buy a good can be backed up by his ability to afford it. A Giffen good is a good where an increase in price of a basic item leads to an increase in demand, because very poor people cannot afford any other luxury goods. An ostentatious good, is a good where an increase in price leads to an increase in demand because people believe it is now better. Joint demand – goods bought together e.g. printer and printer ink.